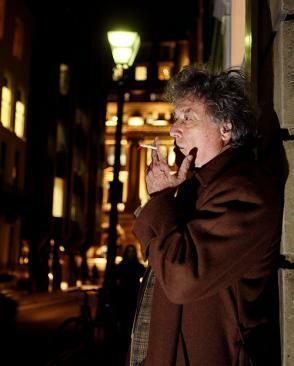 The next day, Stoppard was interiewed at BAM by David Remnick, editor of The New Yorker and author of Lenin’s Tomb, who may be the only editor in New York who hadn’t rushed out to read Isaiah Berlin justto prepare for The Coast of Utopia. Remnick actually out-Stopparded Stoppard with his wit and erudition, and the result was a chat that unlike its predecessor was fascinating, insightful, and over too soon. When Remnick said “For our last question…” Stoppard looked at his watch and looked truly disappointed.